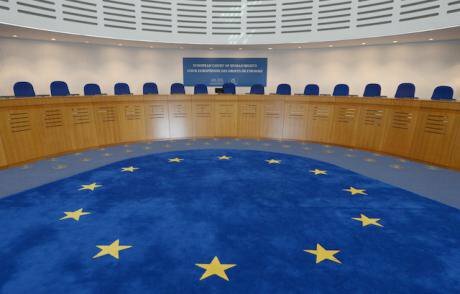 The courteoom of the European Court of Human Rights (ECtHR) in Strasbourg, France. Rainer Jensen/ Press Association. All rights reserved.Once praised as a model for democratizing countries in the region, Turkey is now making headlines for election fraud and jailing political opponents. As Turkey prepares for its general elections on June 24 under state of emergency conditions, the results will be unlikely to loosen the grip President Recep Tayyip Erdoğan has held on power since 2002. Turkey’s sharp turn towards authoritarianism raises a fundamental question about the supposed democratizing effect of liberal democracies on transitioning states. Turkey has strong institutional and economic ties to Europe. For more than a generation, the prospect of European Union (EU) membership provided the primary push behind many political reforms instituted in Turkey. Hundreds of thousands of Turkish citizens have brought their cases before the European Court of Human Rights (ECtHR), an institution designed to protect individuals against state oppression. Turkey’s sharp turn towards authoritarianism raises a fundamental question about the supposed democratizing effect of liberal democracies on transitioning states. These days, however, as dissidents in Turkey are under siege by an oppressive government, they can no longer count on Europe as an ally. I suggest here that Turkey is still vulnerable to pressure from Europe. However, Europe is incapable of summoning the will to promote democracy and human rights, as its own populations clamour for the same kind of aggressive right-wing populism that threatens to rend Turkey apart. What went wrong with Turkey’s relations with Europe? Can Europe no longer exert a positive influence on Turkey’s democratization process? The deteriorating conditions in Turkey first commanded international attention during the Justice and Development Party (AKP) government’s violent suppression of the Gezi protests in 2013, although Erdogan’s efforts to consolidate power by eliminating opponents in different segments of the state – the judiciary, the military, the police force – dates even further back. Turkey’s relations with Europe soured especially after the 2016 coup attempt. When the governments of Germany and the Netherlands blocked Erdogan from holding referendum campaign events in their respective countries, Erdoğan responded by publicly accusing his European counterparts of Nazi-like behavior. The Netherlands officially withdrew its ambassador from Turkey due to the impasse. Meanwhile, Erdogan’s domestic speeches began veering violently away from fundamental liberal rights, rallying crowds for the return of capital punishment despite its ban in all Council of Europe member states. In response, the parliamentary assembly of the Council of Europe voted to resume monitoring Turkey’s democratic status, a supervisory role which it had relaxed in 2004. Turkey’s gleeful flouting of Europe has proved politically useful to a regime that fancies itself victim to dark forces from all sides. To suggest, however, that Turkey is ready to sever its relations with Europe outright would be overhasty. While Erdoğan may be positioning himself as a regional leader in the Middle East, Turkey is in no condition to turn away from Europe. Despite the Turkish government’s hostile rhetoric, the popular support in Turkey for joining the EU is on the rise, from 61.8 percent in 2015 to 78.9 percent in 2017, indicating that Erdoğan cannot easily afford to close the door on Europe. More importantly, the EU holds significant leverage over Turkey as the country’s number one investor and trading partner. This leverage becomes greater as the Turkish economy continues its recent downturn. The Turkish lira has plummeted to record levels against foreign currency in the past few months and Moody’s downgraded Turkey’s credit rating due to the country’s widening current account deficit. The Turkish economy’s dependence on hot money leaves it especially vulnerable to decreasing confidence on the part of foreign investors, such as the 19 per cent decrease in foreign investment in 2017. Against this background – perhaps not surprisingly – Deputy Prime Minister Recep Bozdağ recently reaffirmed Turkey’s aim to join the EU in the next five years. The Turkish lira has plummeted to record levels against foreign currency in the past few months. Strained relations notwithstanding, Europe still has significant power and influence over Turkey. While European institutions have directed harsh criticisms against Turkey’s accelerated de-democratization after the 2016 coup attempt, they fell short of taking any meaningful action to pressure the government. Over the past two years, the EU has expressed concern after concern regarding the erosion of human rights and the rule of law in Turkey. The last EU progress report on Turkey warns against the sweeping powers granted to the president in the 2017 constitutional referendum, the arrest and dismissal of hundreds of thousands of individuals by executive decrees, the suppression of dissent under state of emergency, the removal of safeguards against torturing suspects under police custody, and many more issues. Some EU lawmakers have called for a formal halt of Turkey’s membership negotiations. The primary concern of pro-sanction groups within the EU, unfortunately, is not Turkey’s democratization. Instead, the rise of anti-immigrant and anti-Muslim sentiment is driving the opponents of Turkey’s EU accession. For instance, Austria, Turkey’s most vocal opponent in the EU, is now led by a right-wing coalition taking a hard line against Muslims in the country. The coalition partner, the Freedom Party (ÖVP), is especially disconcerting for its Nazi roots. The far-right populist leaders’ wide appeal not only threaten the future of liberal democracies in Europe, but also prevent Europe from being able to anchor democratization in Turkey. The rise of anti-immigrant and anti-Muslim sentiment is driving the opponents of Turkey’s EU accession. Closing all doors on Turkey’s accession to the EU, however, is not the only option. Given Turkey’s foreign debt dependence, economic sanctions could pose a serious threat against Erdogan’s unshaken grasp on power. In the run up to the general elections in Germany, Chancellor Angela Merkel bowed to pressure on the left and right by offering to impose economic sanctions. Merkel’s election promise foreshadowed the 105 million Euros the European Parliament decided to cut in Turkey’s financial assistance last November. Compared with the €9 billion Turkey is set to receive in pre-accession financial assistance between 2007 and 2020, this decision is too little, too late. A recent audit of EU’s financial assistance to Turkey bluntly states that billions of Euros of EU funding spent on Turkey’s democratization and anti-corruption reforms have largely failed. The report lays bare the fact that the EU Commission continued to fund Turkey despite the continued unsatisfactory outcomes and lack of political will by Turkish authorities to reverse the trend. As it stands now, the EU is funding the entrenchment of one-man rule in Turkey. As it stands now, the EU is funding the entrenchment of one-man rule in Turkey. The EU, however, has other priorities, namely to ensure the smooth execution of the immigration deal with Turkey. In 2016, Merkel played a leading role in crafting a deal with Turkey to ensure that Syrian refugees illegally entering the EU through the Turkish-Greek border would be returned to Turkey. In return, the EU promised to deliver €6 billion to Turkey, half of which has already been dispersed. The deal is clearly not motivated by humanitarian considerations. Thousands of refugees are kept in inhuman conditions in overcrowded refugee camps in Greece and Turkey routinely resorts to violence, even shooting at refugees illegally crossing the border, to secure its Syrian border. EU officials may declare that Turkey is taking “huge strides away from the EU”, nonetheless, there seems to be a tacit understanding that the EU will not impose any substantive sanctions under current circumstances. The European Court of Human Rights’ (ECtHR) passive response to the systemic human rights violations in Turkey is perhaps more disconcerting than that of the EU. In its recent decisions, the ECtHR dismissed major cases from Turkey on technical grounds. Most prominently, the Court rejected applications of individuals banned from public service by executive decrees under the state of emergency, on account of their failure to exhaust domestic remedies – a necessary requirement to take a case to the ECtHR. The Court’s response blocked potential applications by 150,000 workers who lost their jobs and do not even have access to their retirement benefits. The ECtHR’s presumption that the Turkish state is equipped to handle these cases impartially within a reasonable timeframe evidently contradicts all other reports by the EU and the Council of Europe. In another landmark case, the Court dismissed an application submitted by the main opposition party, the Republican People’s Party (CHP), concerning the constitutional referendum. The referendum was widely criticized by international observers – including a Council of Europe institution – for possible election fraud, severe restrictions on fundamental freedoms and access to information, and the undemocratic nature of the constitutional amendments. Once again, the ECtHR did not engage with the substance of the claim, but dismissed it on grounds that referendums do not qualify as elections and hence fall outside of the purview of the ECtHR’s jurisdiction. The ECtHR dismissed it on grounds that referendums do not qualify as elections and hence fall outside of the purview of its jurisdiction. The ECtHR’s conservative interpretation in these cases poses a stark contrast to its previous approach to cases from Turkey. When presented with systemic human rights violation claims in the 1990s, the ECtHR lifted the exhaustion of domestic remedies requirement on account of the state’s complicity in the crimes and its unwillingness to provide due process to victims. In yet another case from Turkey in 2008, the Court overturned its previous case law to regard workers’ right to collective bargaining as a fundamental human right. When the Court’s response to cases from Turkey is viewed in light of the Court’s narrow interpretation in cases from other countries, it appears that the ECtHR’s activist days are over. Recent research, indeed, shows that the ECtHR has become more conservative in its judgments in the past few years. This new data corroborates the insights of other scholars who accuse the Court of showing increased deference to member states and avoiding contentious political issues. In recent years, a popular backlash against the Court has materialized into political pressure by member states. Some member states have threatened outright noncompliance or leaving the ECtHR system. In the UK, for instance, the Euroskepticism that eventually led to Brexit was also sparked by ECtHR rulings on issues such as immigrants’ rights and the right of prisoners to vote. Most recently, states have taken steps to impose new protocols on the Court to be more lenient on member states in its judgments. These recent developments indicate that the ECtHR is struggling with self-preservation, and hence is no longer able to intervene in the Turkish government’s crackdown on dissent. The rise of the European far right is haunting the effectiveness and impartiality of the ECtHR. The recent developments not only undermine the ECtHR’s ability to deliver remedies to aggrieved victims in Turkey, but also damage the legitimacy of the Court as the protector and guarantor of human rights in Europe at large. The EU’s ability to pressure Turkey on democratization and human rights has been arrested on multiple fronts. As long as the humanitarian crisis in Syria continues, the EU will be less willing to exert influence over Turkey, while Turkey will be better equipped to shield itself from any attempts. Just as western powers have established alliances with other authoritarian states like Egypt or petrostates like Saudi Arabia, EU-Turkey relations are likely to evolve into a strategic partnership. Given the authoritarian path on which the Turkish government is barrelling, it is not likely that European institutions will be able to reverse the trend in the near future without an unexpected change in the domestic balance of power. What is most worrisome to those who would oppose Erdogan’s flagrant violation of the rule of law: they no longer seem to have allies in Europe.